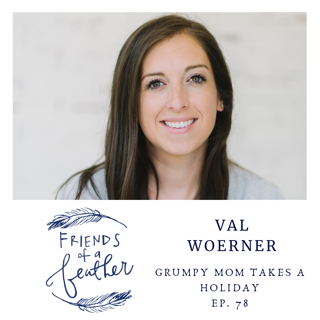 It’s episode 78 and my guest is Valerie Woerner. I remember ‘meeting’ Val through a Direct Message on Instagram a few years ago. Val has a heart for women to know God’s truth, and she is so relatable and real in her faith. Today on the podcast, Val and I talk about her new book that is coming out April 9, which is next week! I am reading it and let me just tell you, I have underlined so much of it; I‘m like Val, you are writing about me! 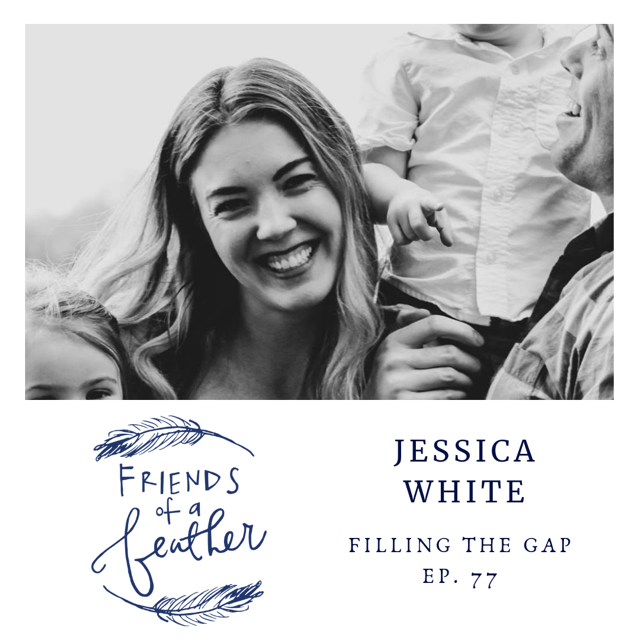 I have followed along with her since first meeting on instagram and have since been able to interview her along with her twin sister about their God stories. If you missed hearing the episode they were on, check out their episodes, 46 and 47. 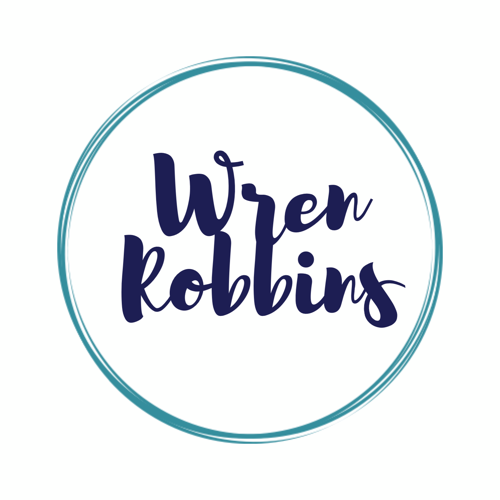 Check out the show notes at wrenrobbins.com/podcast to get the links mentioned. LIKE the podcast? Would love to hear about it on an iTunes review! Let’s get to today’s episode! I recently heard about Annie Pajcic. She’s a wife, a mom of 4, and an amazing artist. 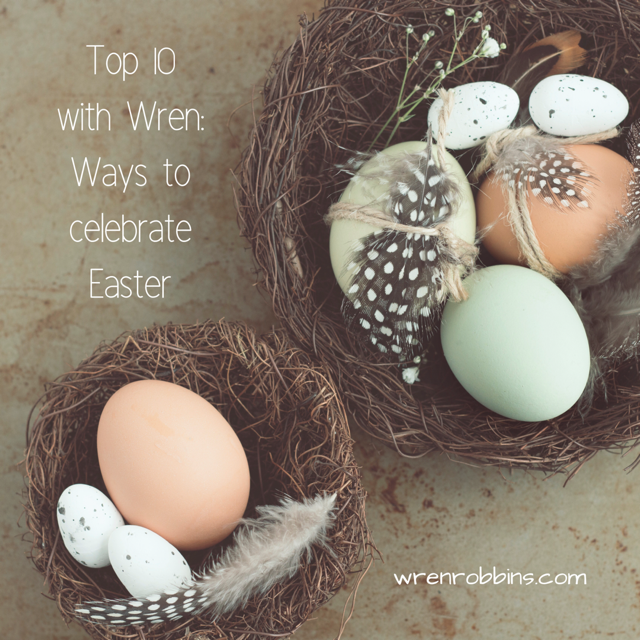 She uses her creativity to teach women, teens and tweens about Jesus. We found each other through a friends’ recent podcast episode and we had the best time talking. We chat about so many things, but one surprising event changed her life forever. She lost her best friend in a boating accident on her 17th birthday. God used this tragic accident to move in Annie’ life from a worldly perspective to a life of passion to know the Lord and encourage others to do the same. 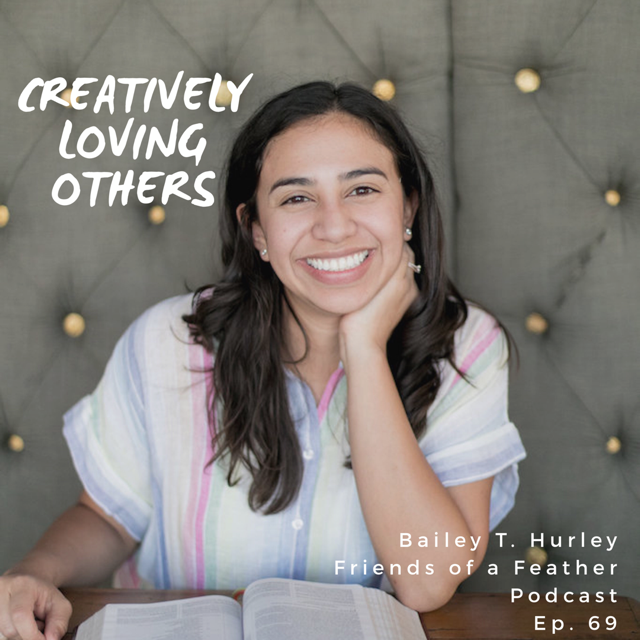 Embracing her background in youth ministry and the arts, she founded ThouArtExalted. it combines the study of God’s Word with Annie’s passion for the arts. With 1 Chronicles 29:11 as a guide, ThouArtExalted provides art-based Bible studies, free devotions, speaking events, art camps, conferences, and online resources to help women, teens, and tweens deepen a relationship with Jesus. You will be encouraged how walking through hard and joy filled times will increase your faith and get you excited about your walk with Jesus. Remember, we are all friends of a feather, so let's stick together! Hey friends I am Wren and I want to welcome you to the Friends of a Feather Podcast! 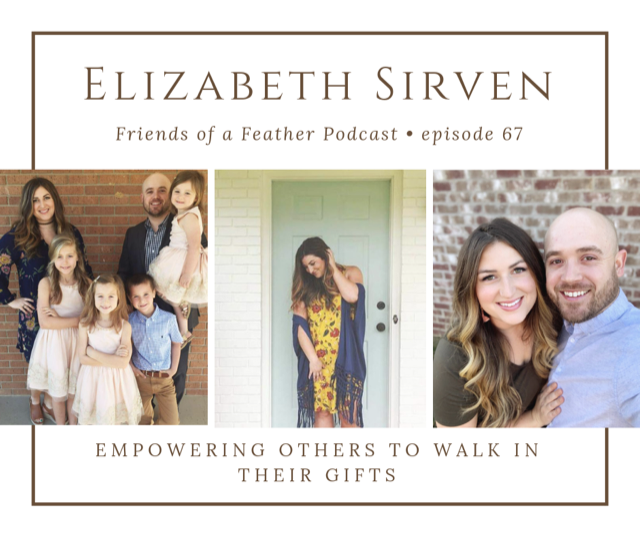 A podcast in which you will walk away encouraged by hearing God stories from my friends that I share! 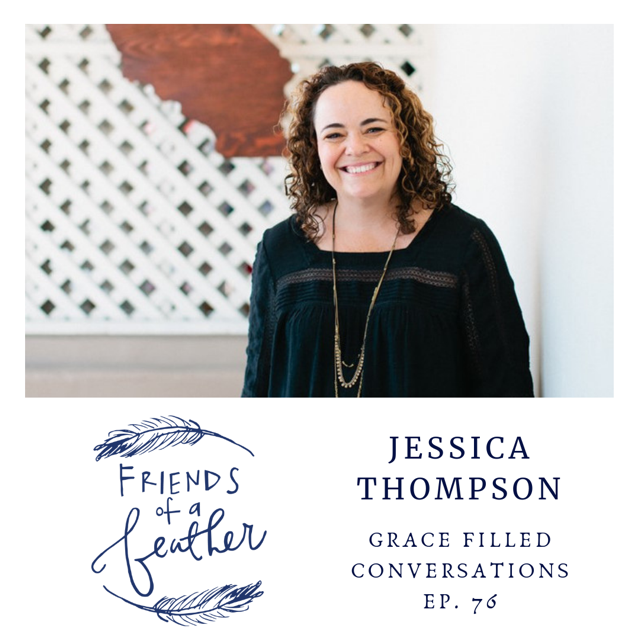 Every time you download an episode, I want you to feel seen by God, to feel encouraged in your daily life, and be spurred on to honor Him with the gifts and talents He has given you. If this is the first time you’ve tuned in or if you’ve been joining in for a while, you are welcome here, friend! I would love for you to go check the web site out, go ahead and sign up for the Friends of a Feather mailing list so you can start getting emails that encourage, and give you resources I have used and love, and perhaps a discount code here and there from my favorite companies! As a thank you for you for signing up to receive the newsletter, you will get a free download of one of my favorite verses directly in your inbox after subscribing! Ok! Let’s get to today’s episode! 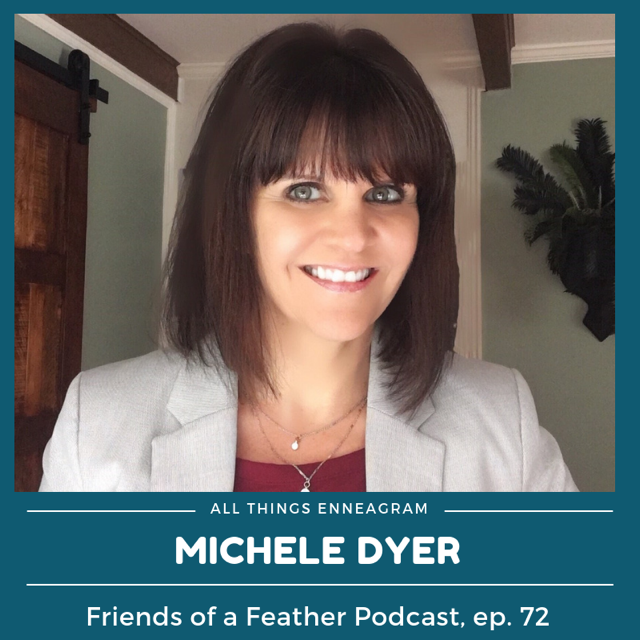 Today’s episode is with my guest Michele Dyer. Michele is a wife, mom to 2 boys, a Christian Leadership Coach and a Certified Behavior Specialist. Michele loves discovering new ways to help others identify their life’s calling and mission. Michele also cherishes her role as wife and mom. She and her husband John have been married since 1997, they have two boys, Alec and Caedon. Though she’s about to be an empty-nester, she’s about to figure this "parenting thing" out, and to help other mom’s “crack the code” of parenting each child according to their natural bent. After our conversation, I told Michele she needed to write a book on parenting! Such wisdom she gives in this episode! 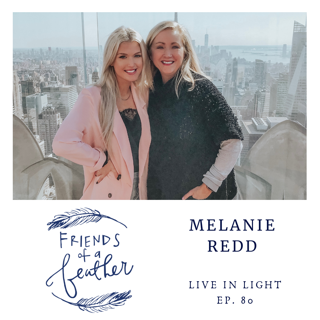 I am thrilled to have Michele join me as my guest today because we dive into two things I’m passionate about: encouraging women to discover the talents God has gifted them with, to put them into practice and how we can use personality tests as a tool in doing so. You may be an Enneagram enthusiast or you may be just shaking your head, but I promise, there is something for everyone in this episode! You will learn so much about parenting, how the Enneagram personality point system can help you identifty your strengths and how God can walk with you through your weaknesses, how we can use personality tests in marriage, so much more! I enjoyed our conversation so much and I know you will too! Ok, One more thing! Are you encouraged after listening to these incredible stories on the podcast? I know I am! 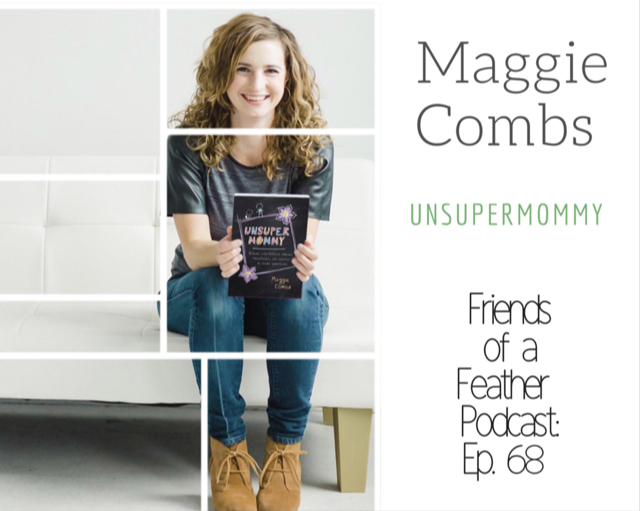 If you would like to leave the Friends of a Feather podcast a review, I would love if you could do that today! Hop on over to itunes and give a 5 star one line rating and review! Reviews and ratings are important because it helps other women find the Friends of a Feather community so that they can be encouraged just like you! I read each and every review. We are all friends of a feather, so let's stick together! Hey friends I am Wren and I want to welcome you to the friends of a feather podcast! A podcast in which you will walk away encouraged by hearing God stories from my friends that I share! Each week, I chat with a friend who has a story to tell, a dream she is pursuing, or a passion to share with you. If this is the first time you’ve tuned in or if you’ve been joining in for a while, I am so glad you are here! Today is episode 71 and it's a little different. 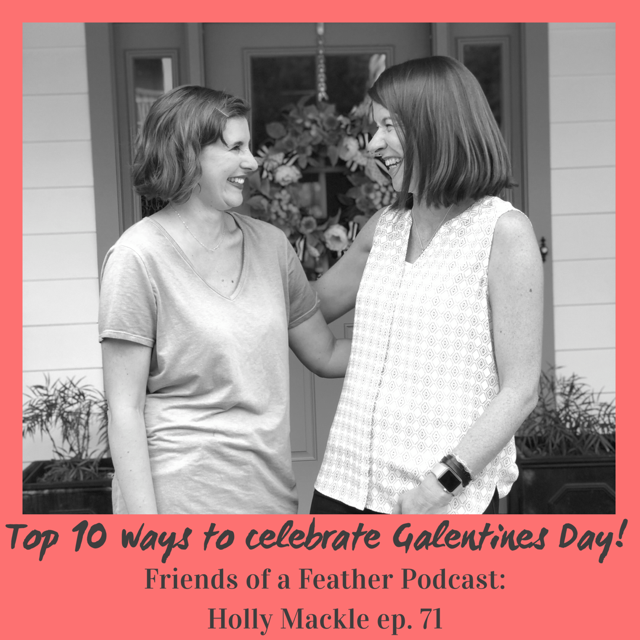 I've invited back a guest, my friend, Holly Mackle to chat about tangible ways we can make our friends feel special this Valentines Day. Listen as I chat with Holly about her story on Episode 38 of the podcast. Get Holly's enormously funny book Same Here, Sisterfriend from Amazon. Also, If you are enjoying listening to the podcast, there is something that I would love if you could do to help me out! Right after the podcast is over, could you scroll up on your screen and when you see the show notes, could you click the itunes link and go leave a review for the podcast? It really helps others to find the friends of a feather community. Thanks, friends. Hey friends! 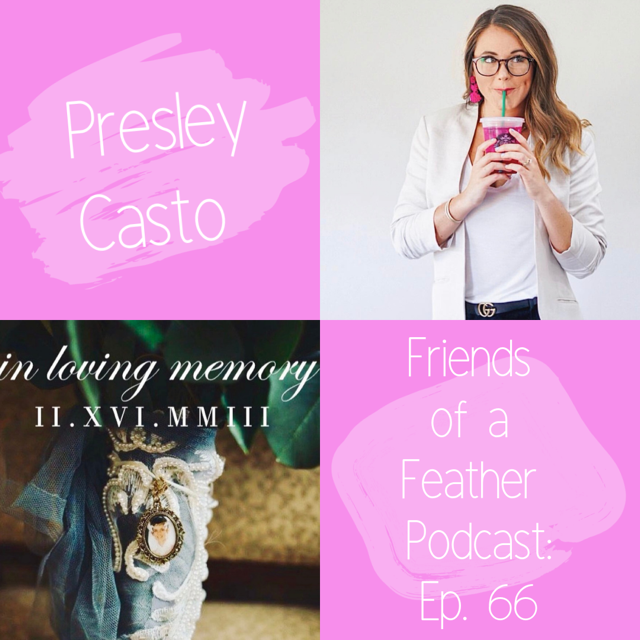 I am Wren and I want to welcome you to the friends of a feather podcast! A podcast in which you will walk away encouraged by hearing God stories from my friends that I share! Each week, I chat with a friend who has a story to tell, a dream she is pursuing, or a passion to share with you. If this is the first time you’ve tuned in or if you’ve been joining in for a while, I am so glad you are here! Today’s episode is with my guest Nicole Cole. Nicole is a wife, mom, lifestyle blogger, photographer, and co-shop owner. Nicole has creativity oozing out of her and she’s just the cutest thing, too. I met Nicole through a mutual friend (thanks, Courtney!) at the Story & Soul Weekend. We were signed up to go to one of the same break out sessions and as we walked up the stairs and into the room, I asked Nicole about her story. She began to share with me with such ease and grace about how the Lord brought her through a season of waiting while they desired to grow their family. Nicole and her husband, Tyler walked through a failed adoption that was so devastating to them but they believe that each and every day was completely ordained by Him. By grace alone, they are now the parents of not one... but TWO children. Their sweet Campbell came home to them via adoption in late October 2016 and their Crawford girl was born in January of 2017. Yes, you did the math right. She has 2 two year olds!! She is able to stay home with them and she also does some photography work on the side. Her desire is to continually point to the faithfulness and goodness of Jesus. As you read her words, it is her desire that you would see Jesus and that you would boldly choose to follow Him in joyful obedience. Ya’ll, she’s the real deal. Nicole is also passionate about Biblical Literacy. Toward the end of our conversation, she gives us some ideas and practical resources for that and you will want to stay tuned in for those! Especially the FREE resource she mentions! Ok, so here’s my conversation with Nicole! Nicole's Boutique: Holly & Co.
And, I’m doing something new! If you are on instagram, be looking for the Instagram LIVE on Monday that I’ll be doing with Nicole! I have one more quick question to ask her! Like 5 minutes literally! Would love for you to leave a review over on iTunes to help others find our community. Thank you. Ok, one more thing! 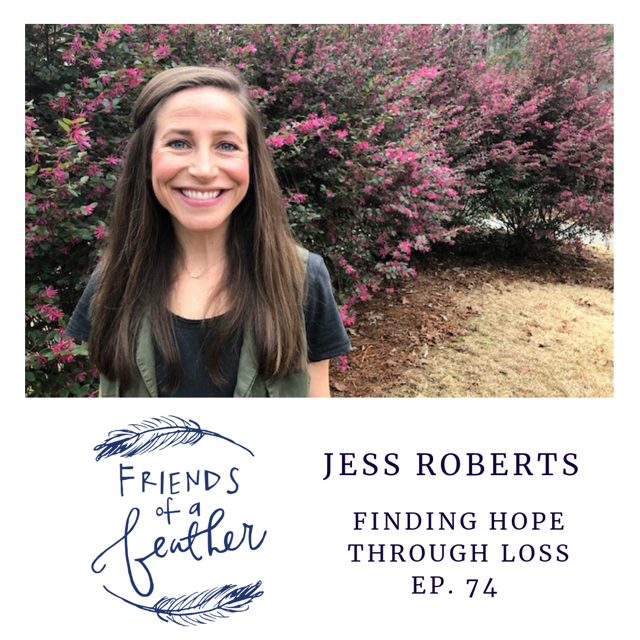 If you were encouraged by what you heard today, I would love for you to forward this episode on to a friend! I think that we are all better together and today is the perfect time to give that friend in mind some encouragement.